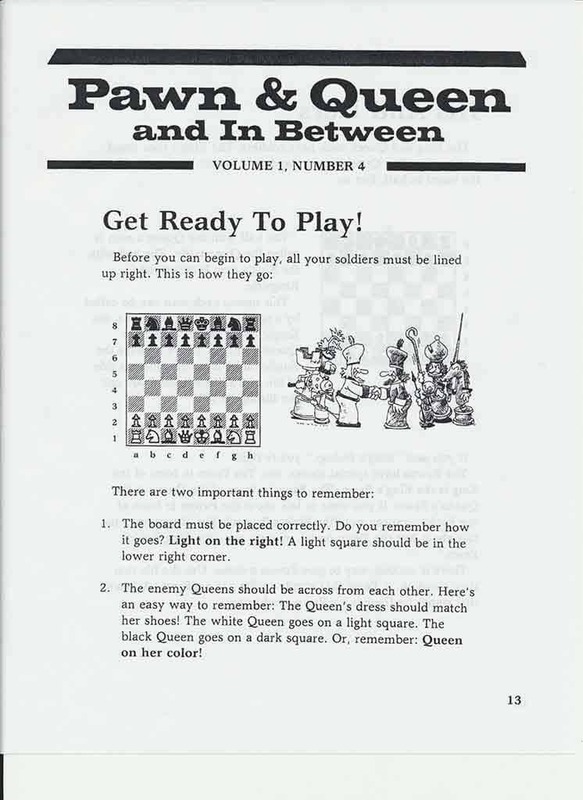 Pawn & Queen and In Between is 72 page instruction manual for the game of chess. It starts with volume 1 number 1 and continues through volume 1 number 18. . 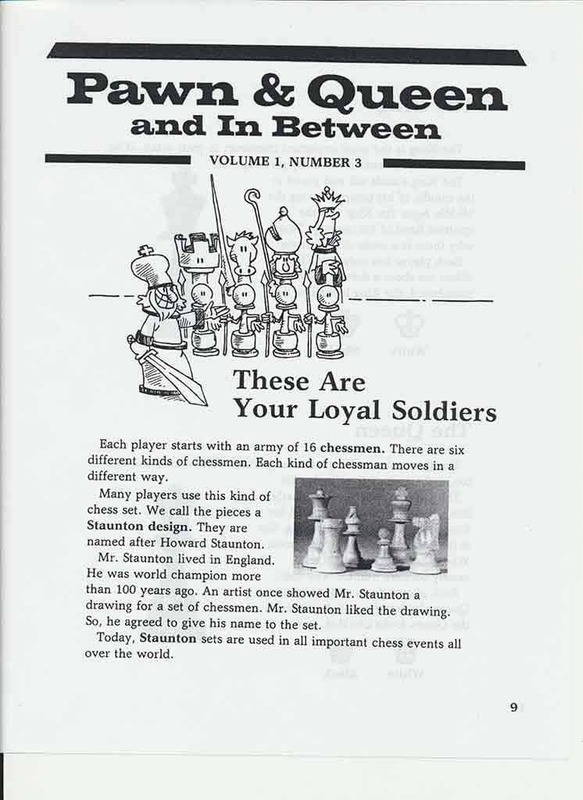 While the instructional material was designed with children in mind, it is presented in a way that makes it accessible and interesting for new adult players as well! 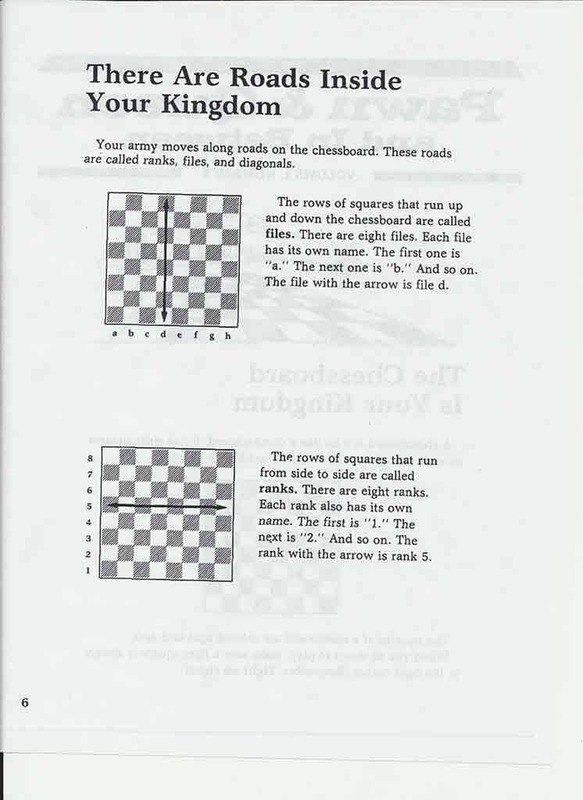 In addition to the teaching of a concept, it also includes exercise materials to help reinforce what the student has learned. 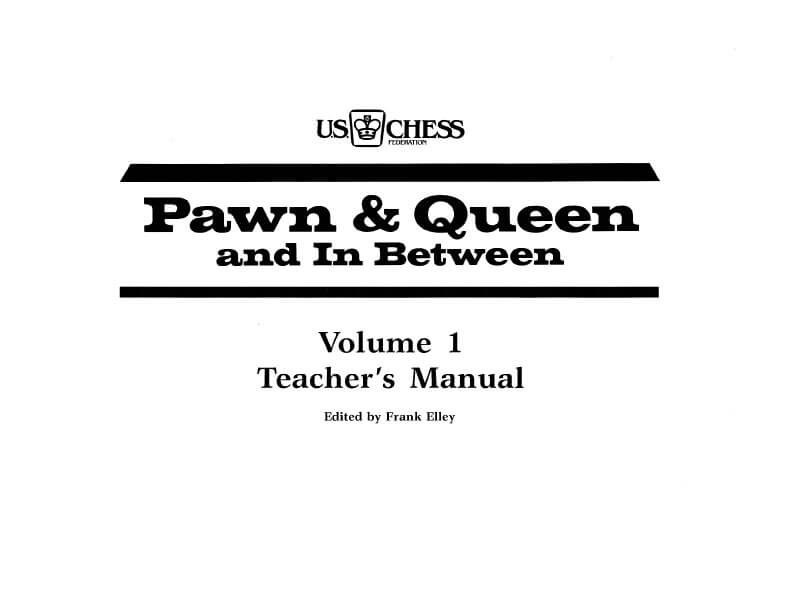 We at USCF Sales recommend that anyone using Pawn & Queen and In Between purchase One (1) Teacher's Manual for whomever is teaching the class, and One (1) Student Workbook for each student taking the class. 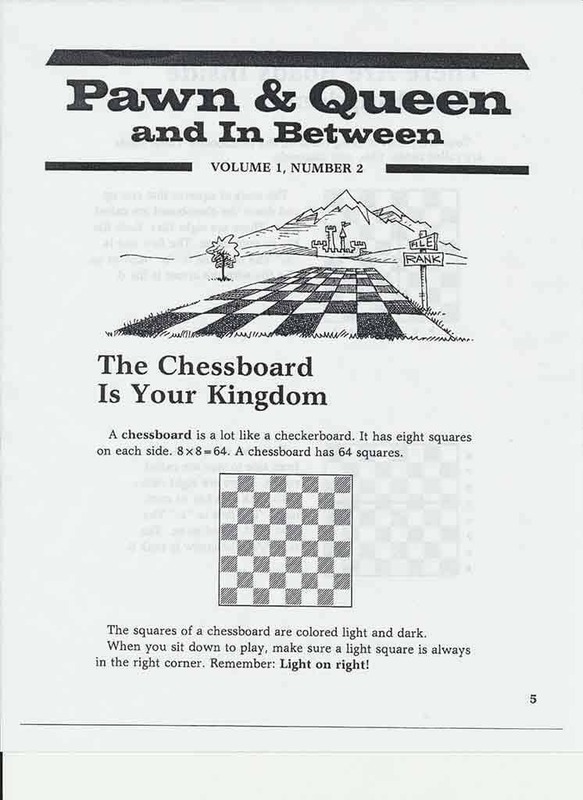 A true teaching aid, this manual works in accordance with the student booklet, including helpful hints on how to teach each lesson and supplemental exercises. 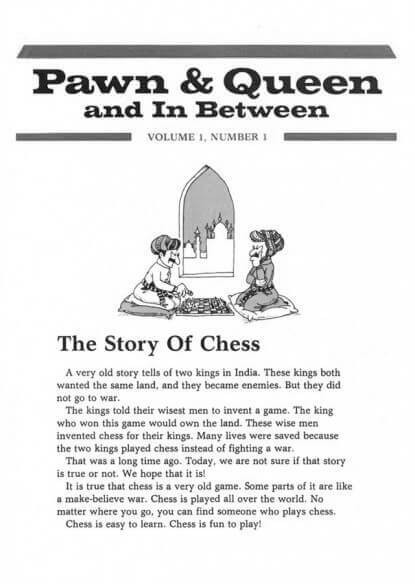 Great for both those who are familiar with the game and those with limited chess experience.